Through the sobering story of Maggie Worthen, and her mother, Nancy, this book tells of one family's struggle with severe brain injury and how developments in neuroscience call for a reconsideration of what society owes patients at the edge of consciousness. 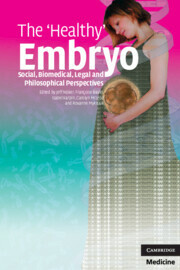 Drawing upon over fifty in-depth family interviews, the history of severe brain injury from Quinlan to Schiavo, and his participation in landmark clinical trials, such as the first use of deep brain stimulation in the minimally conscious state, Joseph J. Fins captures the paradox of medical and societal neglect even as advances in neuroscience suggest new ways to mend the broken brain. Responding to the dire care provided to these marginalized patients, after heroically being saved, Fins places society's obligations to patients with severe injury within the historical legacy of the civil and disability rights movements, offering a stirring synthesis of public policy and physician advocacy. "As the mother of a daughter with severe brain injury and an advocate for patients like her, I found Rights Come to Mind to be a compassionate call to action and a must-read. It should be thoroughly studied by families, professionals, and policy makers concerned about these patients. In every chapter and on every page, Dr Fins uses his knowledge of neuroethics and disorders of consciousness to broaden the civil rights of patients too long neglected, writing truly in the spirit of the Americans with Disabilities Act." "Dr Fins has written a powerful and ethically challenging book that introduces the science of severe brain injury in the context of the stories of families committed to the recoveries of their loved ones. Dr Fins knows this difficult terrain firsthand as the ethicist member of a team that has pioneered technologies intended to engage the conscious thoughts of individuals rendered by their injuries unable to communicate or even move." "Dr Fins brilliantly captures the despair of families with brain-injured loved ones who are navigating Dante’s rings of hell. He gives voice to those of us who choose to stand and fight for our loved ones. 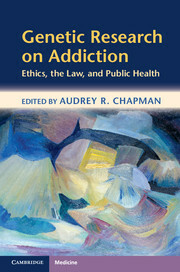 Rights Come to Mind aligns expectations, treatment, and nuance both at the bedside and in public policy." "Dr Fins has provided us with a wonderful book that masterfully integrates the clinical and ethical challenges faced by medical care providers along with a deep empathy for the challenges faced by patients and their families. Above all this volume is a call, even a demand, to do better. 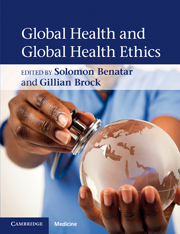 I strongly recommend this thoughtful, readable, deeply informed, and challenging volume." "Rights Come to Mind is a beautiful book that blends science, humanity, morality, and law to paint a far more nuanced picture of severe brain injury than ever before. The book teaches, moves, and provokes as it sets out its vision for the rights of this long-ignored population." "Joseph J. Fins has woven a unique narrative covering both the science of unconsciousness and the lives of brain-injured patients. 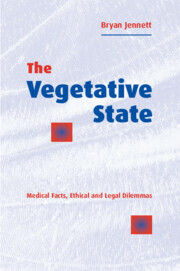 He offers readers detailed case reports, stories of illness based on extensive interviews with patients' family members, medical and scientific explanations of coma and the vegetative and minimally conscious states, critical commentaries, and an ethical and legal argument for the importance of advocating for the rights of this group or ignored and disadvantaged patients … [Fins] is ideally poised to write this account … [His] erudition in palliative care, ethics, and humanities is evident … This is a highly personal work that illustrates both the individual impact of brain injury and the current deficits in the care of brain-injured patients. 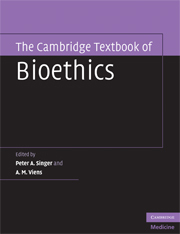 By successfully outlining both the human and humane dimensions of a scientific subject, the narrative bridges the gap between the sciences and the humanities …"
"Although not lacking in technical detail, Fins humanizes people with disorders of consciousness by describing a number of case studies in addition to Maggie's. This makes for a book that has broad interest and appeal, engaging both those readers who are interested in traumatic brain injury and those who relish the latest research and treatment. 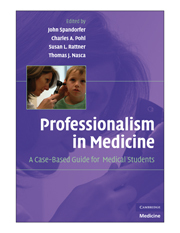 For readers at all levels of expertise and sophistication, this book is an interesting and often fascinating read." "Fins offers an impassioned plea for the rights of those suffering in MCS, invoking the legacy of the Civil Rights Movement. 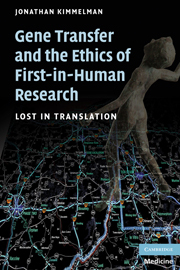 Here lies the casus belli of his work: a belief that MCS patients are being lumped together with PVS patients and denied their rights to participation in the community of humankind … Rights Come to Mind is a multifaceted tour de force not to be missed." "Fins is a zealous advocate for the rights of those suffering impaired consciousness, and he sees an institutional injustice that demands change. For attorneys representing people with a brain injury and their families, this is an essential guide to medical and ethical dilemmas." 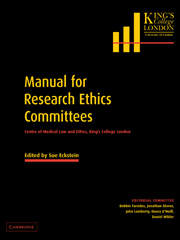 "Fins moves quickly beyond the profit and loss columns of conventional health care costs to invoke rights to adequate assessment and rescue, to a rehabilitation program adaptable to a variable time course of recover, and to being treated as a human being with (potentially but not always actually) a voice … We should take up the responsibility to reveal a world of human experience into which many of us, despite ourselves, may one day find ourselves plunged. It behooves us to listen to that voice and add our own, crying in the wilderness for those who cannot find themselves there." "Rights Come to Mind is a compelling discussion of the actual lives of patients at the edge of consciousness, as well as the experiences of those caring for them. The book is a valuable resource for anyone interested in the medical, social, and personal dimensions of severe brain injury and resulting disorders of consciousness. Those directly and indirectly affected by these disorders, and indeed all of us, are indebted to Fins for presenting and assessing these dimensions in an informative, thoughtful and humane way." 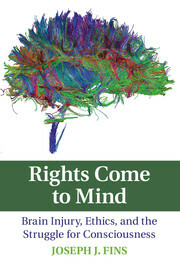 "Rights Come to Mind is one of those rare works and may conceivably become an instant classic on the ethics of brain injury and disorders of consciousness … The substantial intellectual grace and deep humanity that pervade every part of the book are a testimony to the scholarly excellence and exceptional academic generosity of its author … [This book] marks a major milestone in the contemporary scholarship on the ethics of disorders of consciousness, in the narrative approach to medical ethnography, and in patients’ rights advocacy. It is safe to predict that it will become a work of reference and reverence for everyone who is interested in these topics for many years to come." "A fascinating new book [which] carefully illustrates … that predicting the course of any of the disorders of consciousness is not a binary, definitive-cure-versus-quick-death matter; instead, the existence, extent, and rate of each person’s recovery varies along a continuum that often includes multiple gray zones … the radical question that Fins forces us to address is precisely what, if any thing, we should be doing with the MCS population … the central message … is a profoundly disruptive one for certain parts of the health care system, and that fully is the book’s intent … [it] will properly shake up settled understandings and attitudes held toward a largely neglected but worthy segment of our population …"
15. What do families want? 22. A call for advocacy. Joseph J. Fins, MD, MACP is the E. William Davis, Jr, MD Professor of Medical Ethics and Chief of the Division of Medical Ethics at Weill Cornell Medical College, where he also serves as Professor of Medicine, Professor of Health Care Policy and Research, and Professor of Medicine in Psychiatry. He is the founding chair of the Ethics Committee of New York-Presbyterian Weill Cornell Medical Center where he is an attending physician and Director of Medical Ethics. Dr Fins co-directs the Consortium for the Advanced Study of Brain Injury (CASBI) and is an adjunct faculty member and senior attending physician at the Rockefeller University and Rockefeller University Hospital. The author of over 250 publications, Fins is a co-author of the landmark 2007 Nature paper describing the first use of deep brain stimulation in the minimally conscious state. He is an elected Member of the Institute of Medicine of the National Academy of Sciences, a Fellow of the American Academy of Arts and Sciences and an Academico de Honor of the Royal National Academy of Medicine of Spain.